Home / CSA / Lettuce Grow For You! It’s time to sign up for the 2015 CSA! If you enjoy cooking and love fresh vegetables, you’ll savor the great variety and flavors of the seasonal produce delivered fresh from our family farm each week – USDA Certified Organic and GMO-Free. 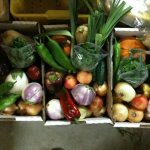 Sign up by April 1st to reserve your weekly Harvest Box generously filled with delicious organic vegetables, mouth-watering fruit and culinary herbs. 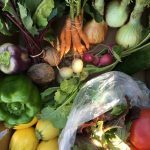 Our CSA runs for 16 weeks, from mid-June through the end of September, and shares can be picked up at the farm, or at ten convenient locations on the Western Slope. You can learn more and reserve your spot today with our secure sign up form on our website.